All leaders face challenges; but not too many people understand the particular challenges of sales leadership. That’s why we make a point to invite real-world sales practitioners (and experts who work with actual sales leaders) as speakers at Sales 2.0 Conferences. In a recent Q&A on the Selling Power Blog, one of our speakers (Oracle’s global vice president of customer experience, Dennis Michalis) shared a preview of some of the practices and tools he uses to create a high-performance sales team. Here are two essential elements he uses. Gamification. First, Michalis hires people who display a natural drive and motivation. Next, he keeps them hungry using gamification. However, he points out that gamification is a means to an end. “In sales organizations, it does what a fitness tracker does: it gives you a tap on the shoulder to say, ‘Hey, you haven’t gotten up and moved around in a while,'” he explains. “What’s even more important today is the need to learn from others. Through storytelling, I share competitive scenarios in which we prevailed, and let the drama of the pursuit unfold. On July 18 and 19, Michalis will join sales leaders and experts who will share success stories and tips based on personal experience running a sales organization. Here are three sessions you won’t want to miss. The sales game has changed: data, analytics, innovative coaching techniques, and new incentives are providing a competitive advantage. Building a winning sales team in this ‘New Performance Culture’ is no small feat – even at enterprise technology companies that are well equipped to compete. Hear how one sales leader is building discipline and consistency and gaining insights from activity to overcome obstacles, improve productivity, foster collaboration, mentor rising stars, and build a high-performance sales team. 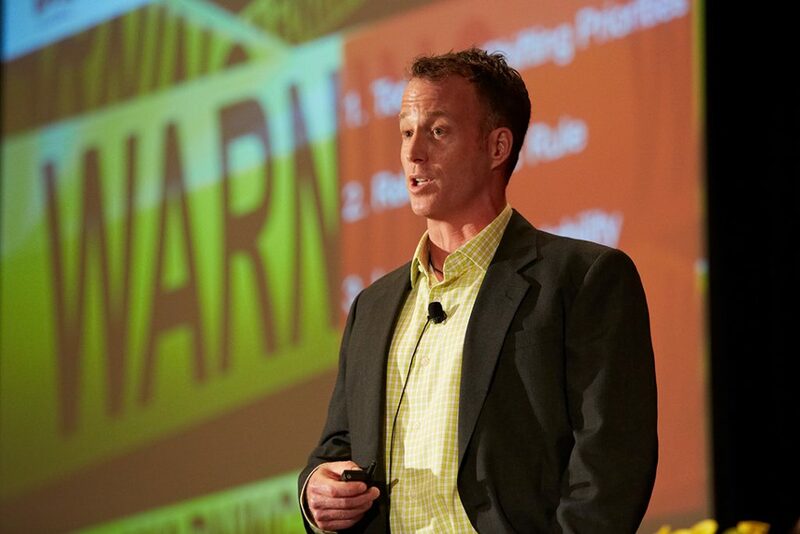 John Turner, Senior Vice President of Sales for TriNet, will share his process for creating a “Victory Plan” that engages salespeople and sales leaders in a quest to grow sales and profits through a disciplined, metrics-driven Championship Organization. John will share the process, the strategies, the underlying psychology, and the financial and psychological reward system that leads to peak performance. Based upon LSA Global‘s research of 410 companies across eight industries, we know that highly aligned companies grow 58 percent faster and are 72 percent more profitable. Neither sales talent, nor sales culture, nor sales strategy alone will produce consistent and extraordinary sales growth. Sales forces that get it right grow faster. Those that get it wrong struggle to compete. Laurie Sewell, CEO of Servicon Systems, will share how LSA’s organizational alignment methodology helped her improve goal clarity by 45 percent and increase sales-process effectiveness by 43 percent to drive growth. Join us at the Sales 2.0 Conference on July 18 and 19 at Hotel Nikko in San Francisco! Register now. This entry was posted in Conference Sessions, Conference Speakers, Sales 2.0 Conference and tagged Sales 2.0, Sales 2.0 Conference. Bookmark the permalink.